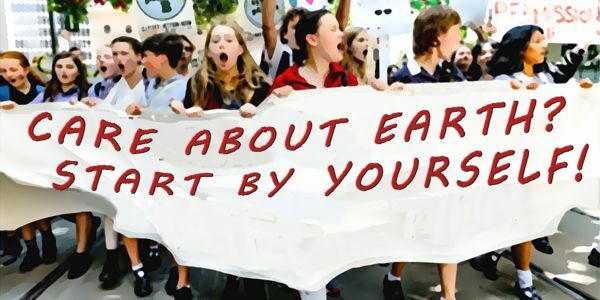 petition: A petition to the Fridays for Future, Youth for Climate, Youth Strike 4 Climate, etc. A petition to the Fridays for Future, Youth for Climate, Youth Strike 4 Climate, etc. •	in the future you will not live in a house but rather in an apartment and you will never own a car. It's you - the new generations - who have to behave in a sustainable way to preserve the climate and the environment. Asking politicians to "do something" will only promote them to use the environment as a new ideology for more power, more regulations and more bureaucracy.